The insulated travel mug has a double wall to keep beverages hot or cold. Great for morning commutes and road trips. 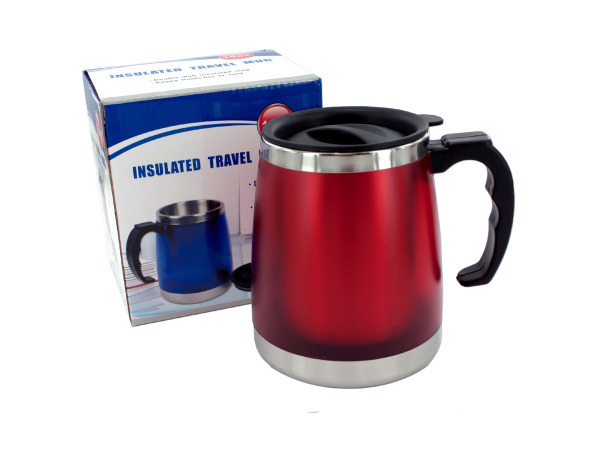 Mugs are made with a sturdy metal with the second wall being made of plastic. Colors include red or blue. Has a grooved handle for grip. Mug can hold up to 16 ounces. Comes packaged in a sturdy box. Measures 5" tall.